Sun, sea, relaxation and tranquility. In general, these are the elements that characterize so many island structures. Here are some of the best facilities, and areas, where to sleep in Karpathos. Yiannis Hotel, in the small village of Arkasa, it is one of the best choices for quality / price. Ideal for all those who love tranquility and relaxation, Yiannis Hotel offers studios with fantastic sea view, just over 40 € per night, in the middle of July! You will wake up with the sun that projects the lights on the sea. The hotel has free parking, and rooms with kitchenette. From this link, you can book your room at the best price. All accommodation offers a kitchenette with a fridge and an electric kettle, a satellite TV and a private bathroom with a hairdryer and a shower. A children's playground and barbecue facilities are also available. Free Wi-Fi is available in public areas. A studio apartment for 2 adults and 2 children, costs less than € 60 per night, in the middle of July. Really great. Free parking available. Info and reservations from here. You go up in price, and not a little, staying at Alkioni Hotel. An excellent solution if you want to spend something extra. The Hotel is located near the beautiful Finiki beach. Studios and apartments at Alkioni Hotel are air-conditioned and include a spacious living room, a spacious dining area and a well-equipped kitchenette. All rooms have satellite TV, a safe, an iron, a hairdryer and a private balcony with panoramic sea views. Airport shuttle available on request. More info, through this link. Roses Studios located a few hundred meters from the port, and offers really cheap accommodation in the central area. It offers equipped studios with kitchenette, at 35 € per night, in July. Free Wi-Fi is available throughout the property. The choice voted for savings, where to sleep Karpathos. The island is certainly not a destination for nightlife. Rather. 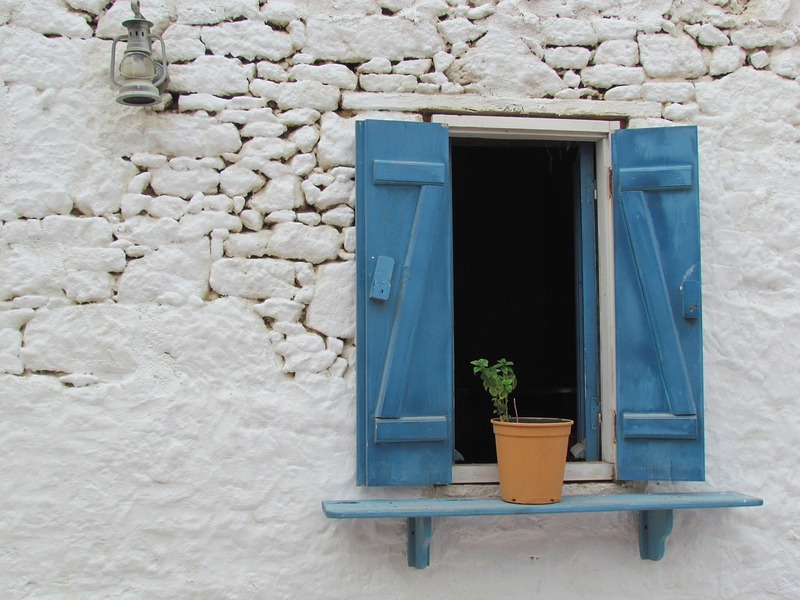 Holidays in Karpathos are synonymous with peace, relaxation and tranquility. Elements that characterize all the villages of the island. Pigadia, the capital, is the best choice where to sleep Karpathos, for all those who wish to be at the center of everything. In Pigadia you will find cafes, taverns, small shops to entertain you. From here, moreover, you can move without problems in the direction of the most beautiful beaches of the island. The area offers numerous facilities at competitive prices. Roses Studios and above all Sunrise Hotel. Near the Pigadia Beach and 300 meters from the city center, Sunrise Hotel offers a bar and air-conditioned rooms with a balcony. Rooms here will provide you with satellite TV, air conditioning and a fridge. Featuring a shower, private bathrooms also come with a hairdryer. It has double and quadruple rooms. Just over a mile from the center, Irene Apartments It is a great alternative for those who prefer the Studios solution with a kitchenette, rather than the classic hotel. Info and reservations from here. Do you want to stay near one of the most beautiful beaches on the island? If you want to get away from the center, in the area of ​​Kira Panagia you will find some really nice facilities, with no exaggerated prices. Like, for example, the excellent Blue Waves Studios. The accommodation will provide you with air conditioning and a TV. There is a kitchenette with a refrigerator and cooking hobs. Featuring a hairdryer, the private bathroom also comes with a hairdryer. Free private parking is available at the aparthotel. From this link, you can book your accommodation at the best price. In choosing the best facilities to stay in Karpathos, there is no real area to avoid. Every place has its charm and its incredible tranquility. If you had to choose to stay at DiafaniHowever, bear in mind the difficulties you will encounter when having to reach the beaches south of the island. There is no shortage of areas and beautiful beaches north of Karpathos, but, staying in this area, you will inevitably have to reduce your travels to the South.